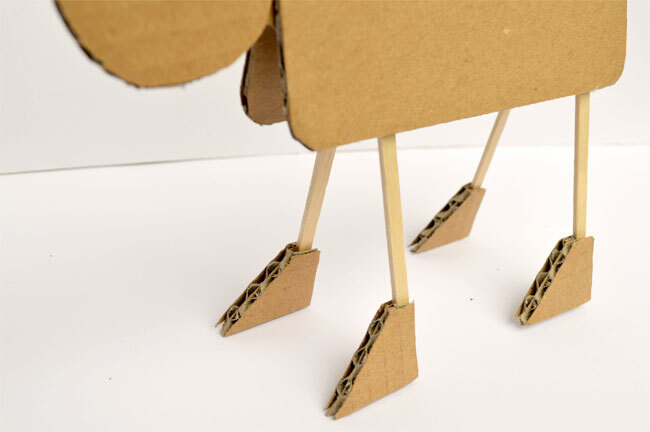 This weekend a little cardboard tinkering became a 3D blank canvas for my 7yo daughter Molly to create on. 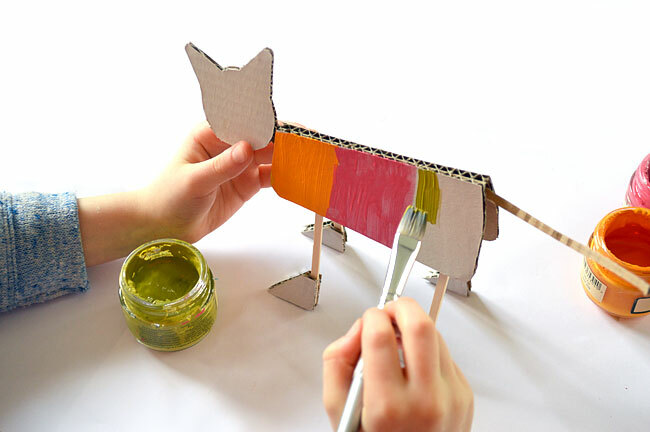 From some scrap cardboard and popsicle sticks a lively colorful cat was born…. wearing converse!! 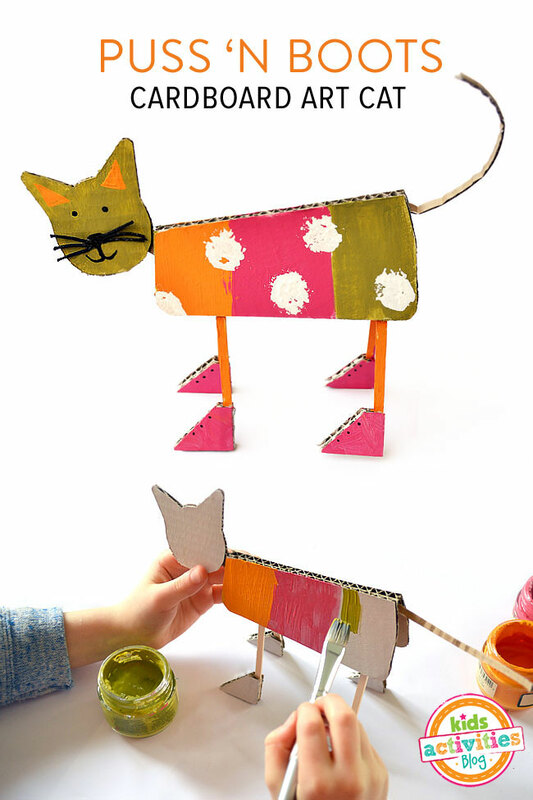 Read on to see how quick and easy it is to make some cardboard art cats for your children to create with and on. Disco Cat, Kandinsky Cat, Graffiti Cat, Lego Stamped Cat….. let imagination guide you. 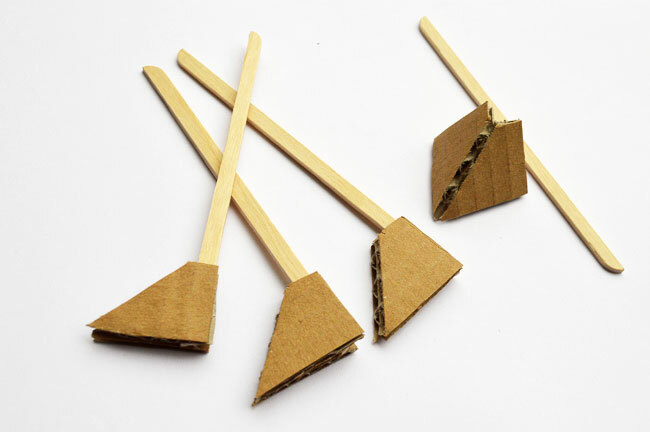 All you need to make is some cardboard or a cereal box, craft sticks, glue, paint and some black thread for the whiskers. 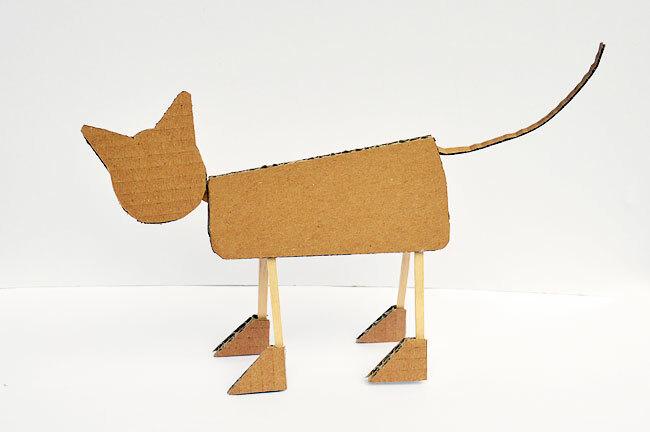 Start by downloading the Art Cat template here and cutting out your cardboard pieces. 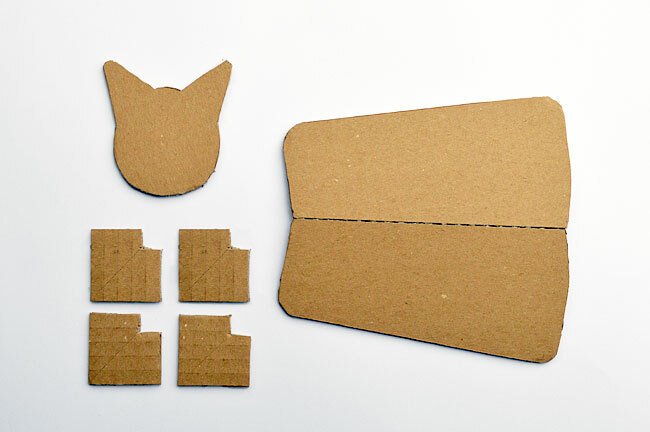 Score the cardboard along the dotted lines on the template to get nice and even folds. Cut the popsicle sticks in half for the legs. 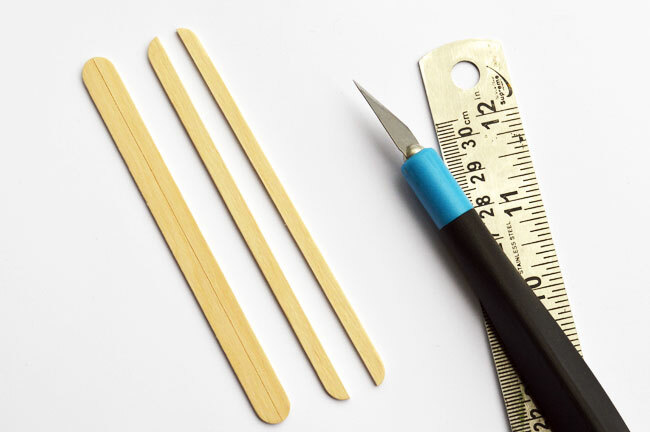 Fold the shoes over the bottom of the craft sticks and glue (I use a glue gun which dries and locks everything in instantly). Repeat for all four legs. Glue the legs to the underside of the body. 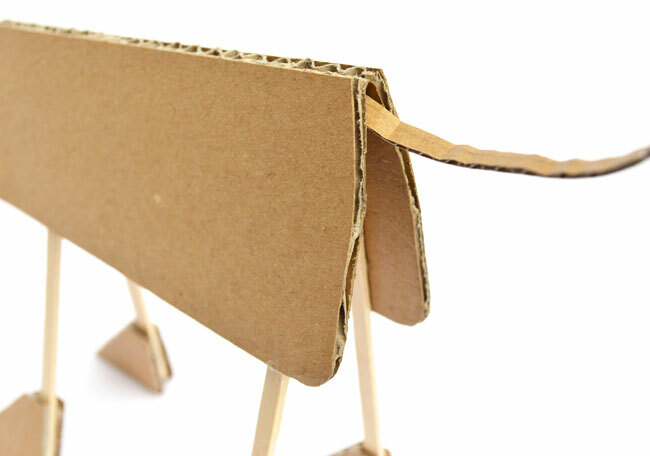 Glue a thin strip of cardboard at the back for the tail, and just curl with your fingers. And then all you need to do is leave out a selection of paint with some paintbrushes, pom poms, wine corks etc – anything that will make a mark and pattern.